These new, 104-LED bulbs for the Singer Featherweight 221, 301, and other machines are brighter than the earlier generations of LED bulbs, and much lower cost! They have a nice neutral white color light. The new, longer "globe" makes them easier to grasp and install. Like our original LEDs you can leave them on all day and they will not burn you. NOTE: These bulbs fit all the different models of Singer 221 and 222 Featherweights including the tan and white machines. They will also fit the Singer 301, 400 and 500 series, and most other sewing machines with the bayonet twist-to-install bulb base. 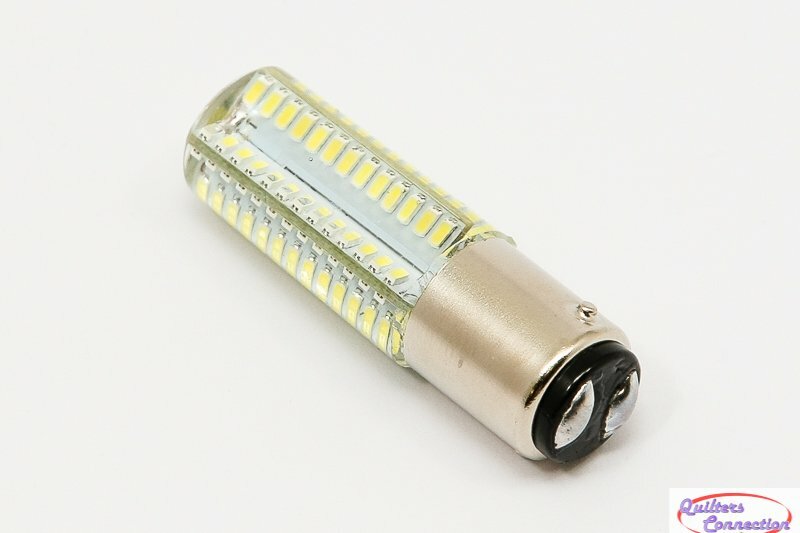 We also carry the LED bulbs with the screw thread base for the Singer 66, 99, and other models.